PES Energize is excited to introduce Energize Lite! 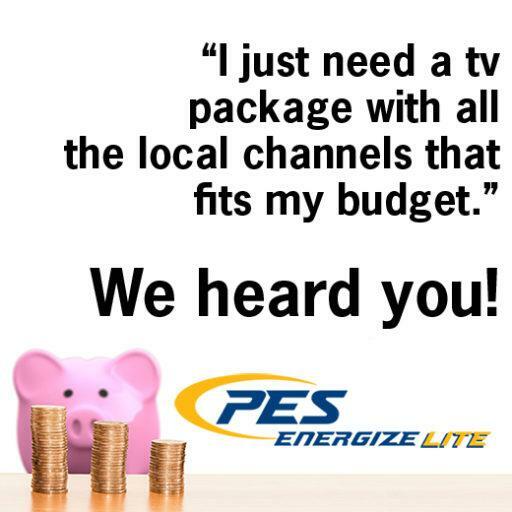 The Energize team has listened and acted on your request for a limited, local channel TV package. Energize Lite meets a multitude of customer requests. A recent survey reflected the need for a budget-friendly package with just the local channels. PES Energize customers who like to stream video on demand have let us know they miss the local news and their favorite network shows but don’t want to pay for a lot of extras. When you turn on Energize Lite, you will see the difference digital TV makes! Energize Lite provides 20 channels including all the locals and The Weather Channel for a budget friendly $31.95/month. * Like to record your favorite network series? 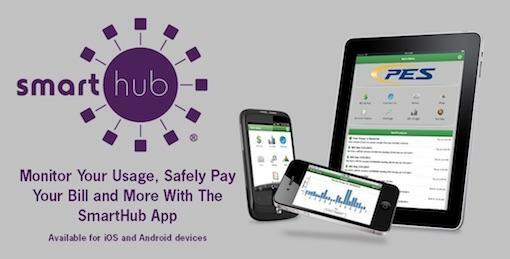 A DVR box can be added for $5.00 more a month. Additionally, Energize Lite Double Play allows customers to pair a sweet 10/2 unlimited internet with any PES Energize video package for just $19.80 more per month. This is perfect for those households with few devices but want high-speed, unlimited internet to stream, use social media and more. Call Andy or Josh at 931-363-2522, select option 3 and then option 1 to reach them in the PES Energize sales office. Ask for Energize Lite and get signed up today! *Plus taxes, fees and additional boxes if applicable.